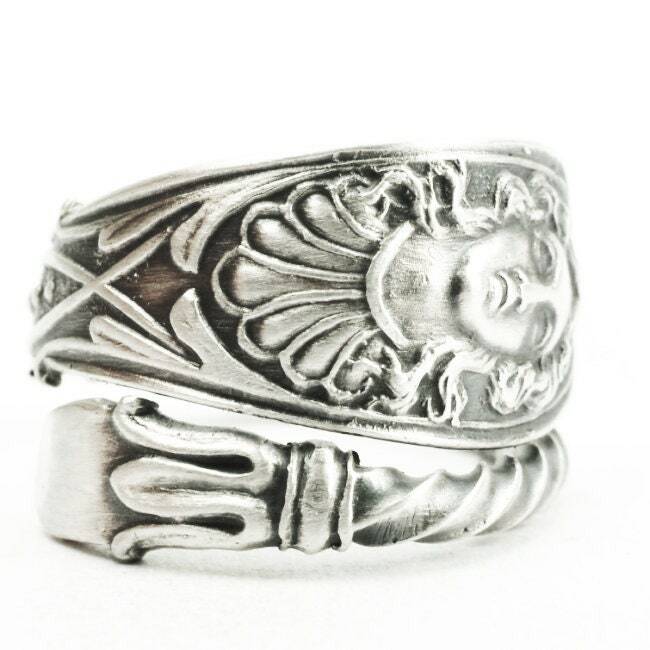 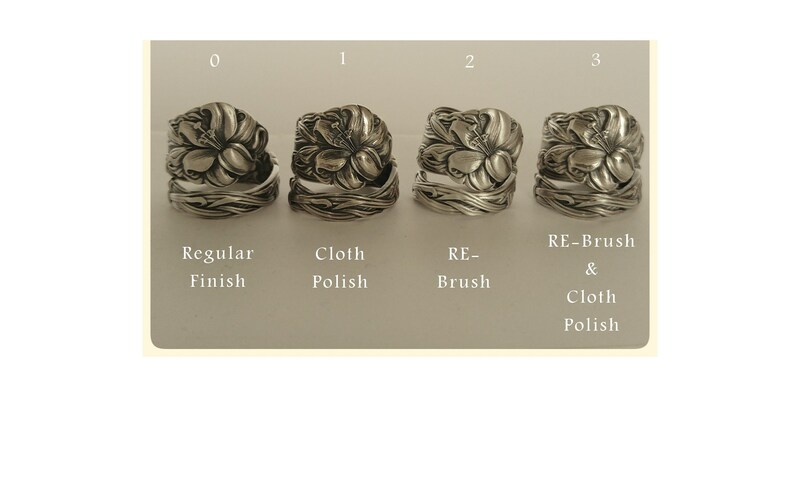 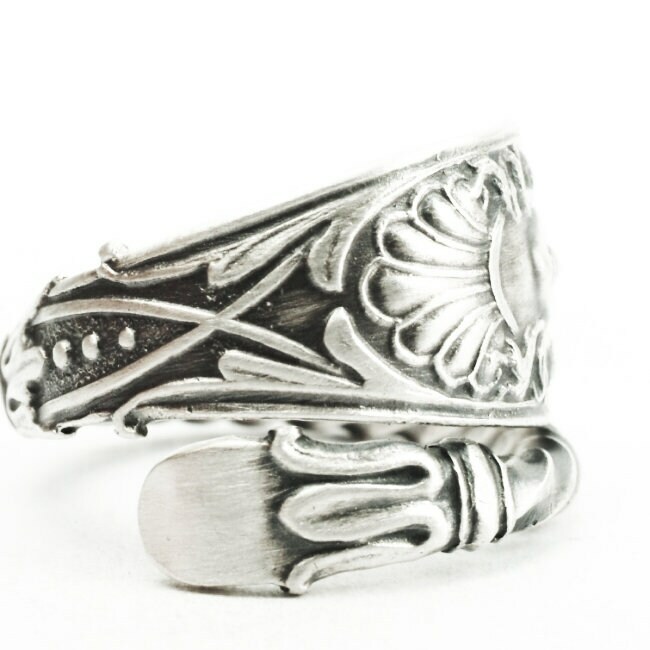 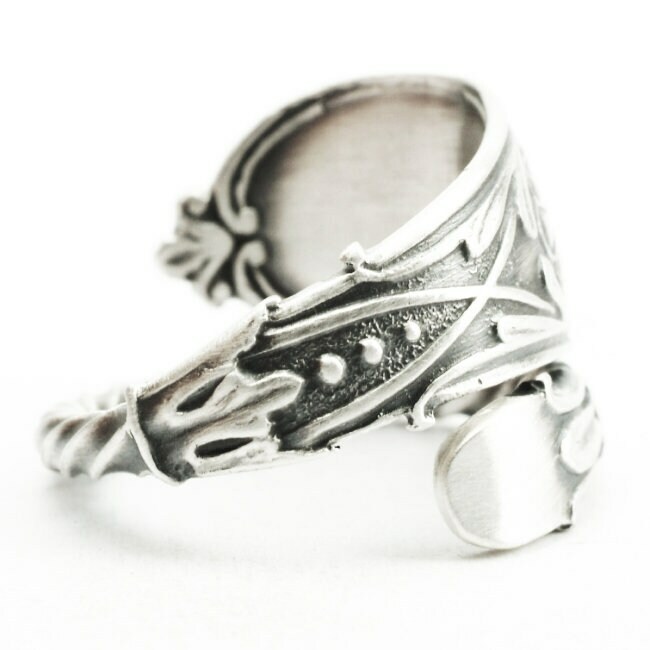 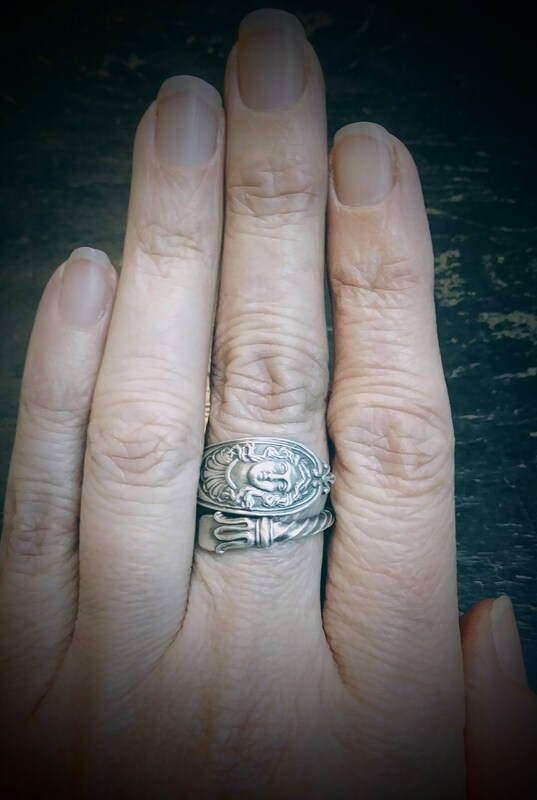 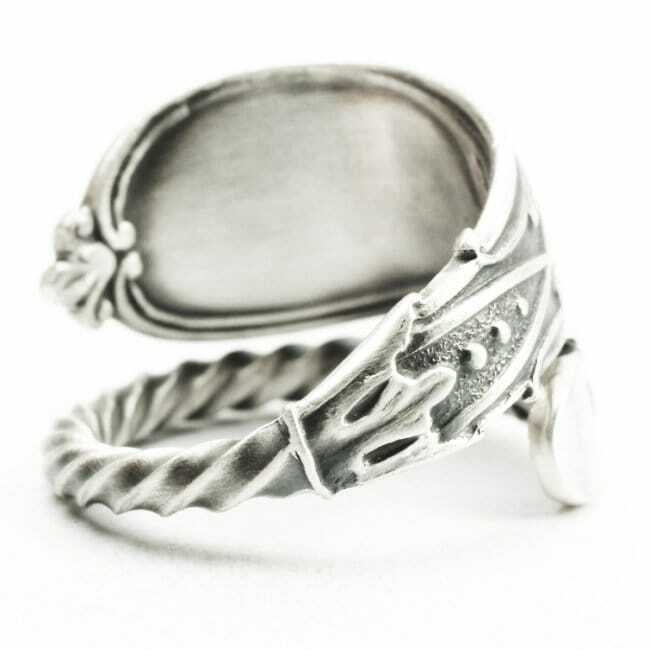 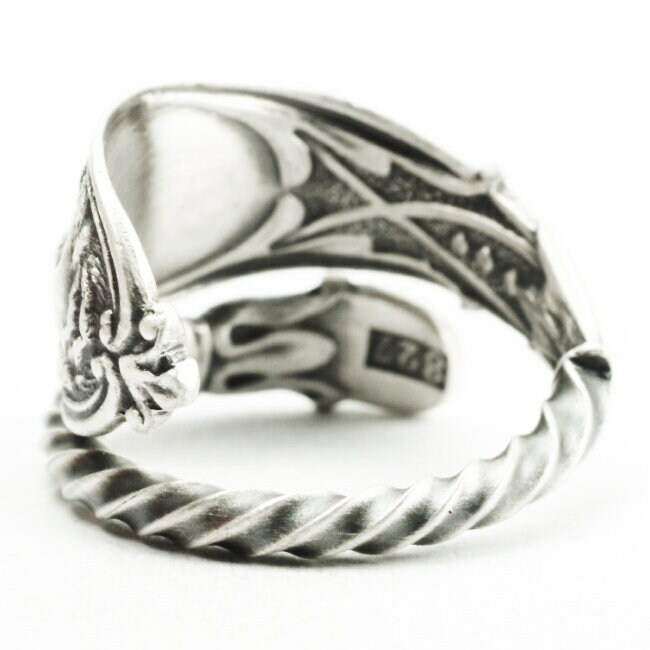 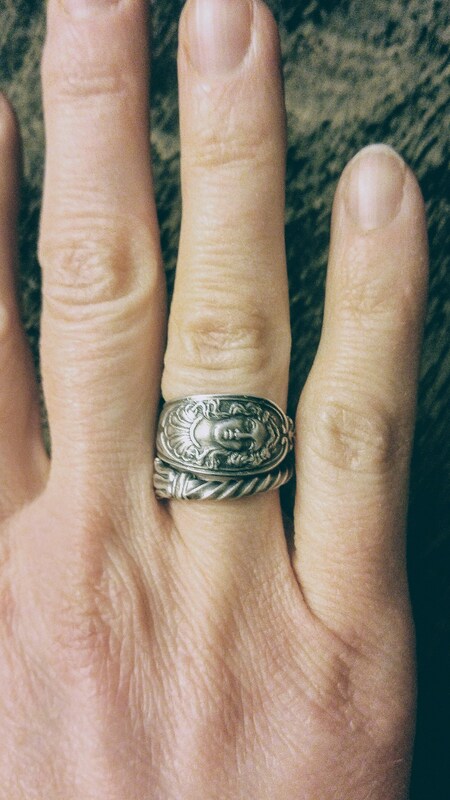 Rare vintage sterling silver spoon ring with a lovely Goddess pattern! 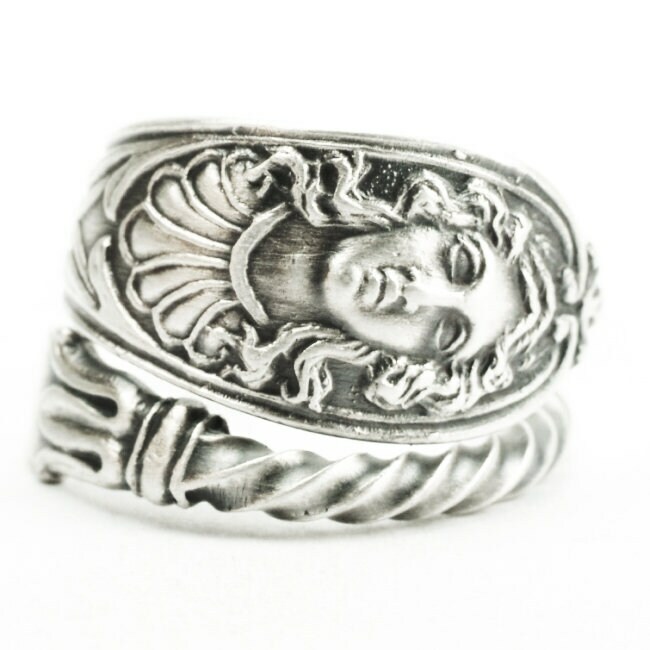 This ring depicts a stunning goddess face with flowing hair. 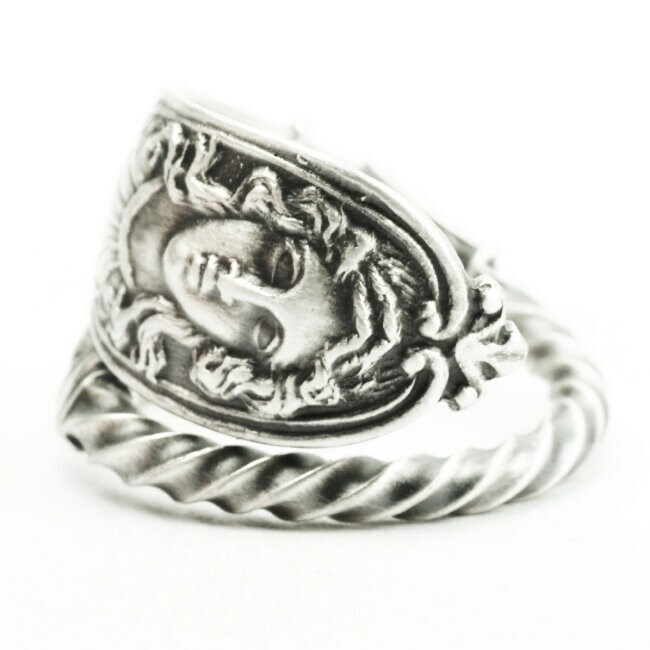 Fashioned in the Art Nouveau, graceful and flowing, this figure seems to be in a contemplative state... Statuesque one might say.